Exercise and movement has always been an important part of my life. Nia has changed the way I move my body and how I listen and dance to music. Being an academic teacher for 25 years and teaching all ages has given me the life experience of seeing how important movement is to the whole learning process. The brain loves movement and is able to retain more information after being moved! Nia is a life giving practice that takes in account the whole person in the physical, mental and spiritual realms. I love teaching “Easing Into Nia”. Over the year this class has developed into more of a regular Nia class. The only difference is sometimes I explain the moves before class begins. This gives the students an opportunity to become even more grounded in the 52 moves and enjoy the music and moves even more; bringing a sensation of success. Students that are healing from an injury, just beginning their Nia practice and new to Nia find this class an welcoming one. 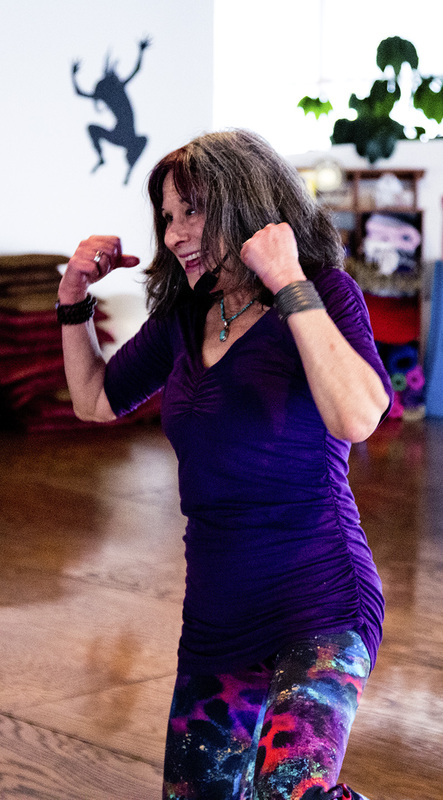 I love connecting with people and sharing.Dancing with people brings out the best in them and we have a wonderful Nia community in Santa Fe. Thank you Nia! Visit barbaramillermovementteacher.com for more information!